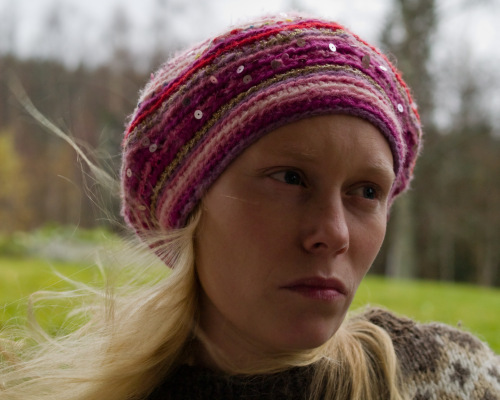 Here is a beanie hat that one of my friends (she is posing in the picture) crocheted. She made it out of different magenta colors and some other yarn that suited the design. She also added some sequins to make it look more special. I think the result is very good! Here is a picture of the crocheted beanie hat. It was quite windy outside today so it looked pretty cool when the wind lifted her hair.